What Is the Proper Way to Have an Italian Conversation? Before you begin working your way to foreign language fluency, it helps to understand the culture behind the language you’re learning. After all, language exists to help a group of people express their ideas and beliefs. Italy is an old country with a rich history and culture. As you begin your Italian language program, gaining a strong grasp on this history, the values, and the etiquette will help you rapidly achieve success. 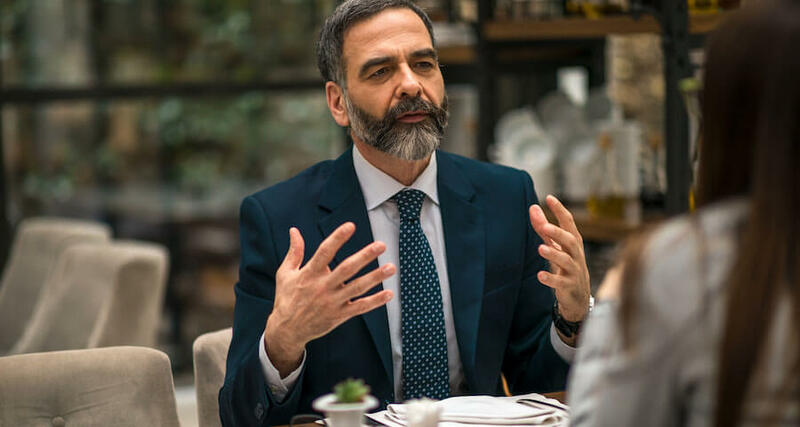 In particular, it’s important to learn how to have a proper conversation in Italian and connect with the people to gain the most from the experience. Meeting a French individual for the first time is especially awkward, because the French are typically not open to meeting new people. Italians are only slightly more accessible, though even they prefer to deal with associates they already know. If it must be a situation with a new face, they at least prefer for the name to be familiar. You would have much more success with a “cold call” with an Italian businessman [The Italian Business Culture], if you come recommended from other people in his circle. This can include a personal reference, a business referral, or a chamber of commerce suggestion. In reaching out to him, a formal letter must be accompanied by both a phone call and an in-person visit. An additional suggestion on reaching out to your Italian contact for the first time. Even if you write that formal letter in English, they will likely respond in Italian. It may be best to hire a translator to draft that first letter in Italian and to translate any future correspondences. In Italian businesses, particularly those that are family owned, learning a foreign language isn’t a priority. If anyone in the organization does speak English, that person is far down in the chain of command. Instead, your Italian contact will likely be joined by an experienced interpreter. To avoid offending your business associate, be sure to speak directly to him and not to the interpreter. While Italians do love their verbal communications, you cannot expect them to be fluent in English. Most elementary schools do teach English, but the students tend to learn a smattering of the language, just enough to get by in a basic conversation. Even for Italians who do speak English fluently, it may be difficult to understand them. Their speech is often heavily accented and vowels are dragged out rhythmically, extending the length of individual words and phrases. In communicating with Italian associates, it’s better to assume they will not speak any English. To compensate, you should be less stringent in your perception of the English language and you should also attempt to learn some Italian yourself. If you do speak English, it’s important to speak slowly and to leave pauses as you finish a sentence or thought. This gives your partner in the conversation an opportunity to catch up and make better sense of your words. He or she will appreciate a slower and clearer conversation with frequent gaps, so the discussion doesn’t become discombobulated. Communication is possible, if it’s approached from the perspective that patience and perseverance will help you understand one another. Older Italians in particular will have trouble understanding and speaking English. This is because it has been many years since their formal English education and they have spent a lifetime speaking and listening to the Italian language. However, if you take care to make sure you’re being understood, you can develop a rewarding verbal exchange. Of course, if you learn Italian, you will get a lot more out of the exchange, and your partner will appreciate that you are trying to communicate in a language they know. Communicating with Italian business associates may be more easily achieved by taking advantage of some of the courses offered by colleges throughout Italy. Universities and language schools offer short courses that teach the Italian language and provide a brief introduction into Italian culture. The courses cover Etruscan history lessons, as well as a brief look at contemporary Italian art and literature. In Florence alone, there are more than 25 private foreign language schools that offer Italian language courses. Additionally, there are two state-funded universities that teach Italian. They are the Università per Stranieri in Perugia and in Siena, and you can attended them with study grants. To find out more about the courses and grants, inquire with the Italian Consulate or Italian Cultural Institute. While the private language schools and the schools at Perugia and Siena do offer their language courses throughout the year, the larger Italian universities usually only offer the Italian language courses during their summer sessions. In speaking or writing Italian, it’s best to avoid slang or idioms, as they may be misinterpreted by Italian speakers. Similarly, acronyms should be spelled out the first time they’re written to ensure your reader references the initials in the same way you intended them. An English acronym may have an entirely different meaning in Italian. Speakers new to the Italian language are urged to speak in short, active sentences, as opposed to longer sentences or speaking in a passive voice.